One thing that is a given about a Scorpio man is his intensity along with his passion. Both of these qualities rule his life. It is with a huge amount of fervor and power that he lives his life. This fact also makes it impossible for anyone to try and steer him to things. This passion also makes him highly suspicious of the people who are most close to him as well as others. This however does not change the fact that a Scorpio man can be one of the most trusting and loyal partners ever. After one gains his trust a Scorpio man will give up his manipulative, suspicious ways and stand by you through thick and thin. That is why it is important for an Aquarius woman to be sure of wanting a relationship with a Scorpio man as Aquarius women can change their mind quite easily. She is not fickle minded though. There are external factors which make her change her mind from time to time. One of the things to be kept in mind about an Aquarius woman is that she is extremely stubborn. To even try and bluntly change her mind about something will be totally in vain. A Scorpio man can be extremely dominant but an Aquarius woman loves to be an independent person in all walks of her life. That does not mean that she loves any less but she likes the idea of being safe because of her own achievements. A Scorpio man will have to work hard at controlling his dominant nature and suspicious personality if would want to sustain a long and fulfilling relationship with an Aquarius woman. hesitate to leave the person behind the cause of the threat. The way out of this is for the Scorpio man to respect her limits and his as well. This way he can avoid stepping on any toes. This can be quite possible for the Scorpio man as one of the primary reasons behind him being attracted to her is her sense of individuality as he can very well relate to that.If she even senses that her freedom and individuality is threatened then she will not. 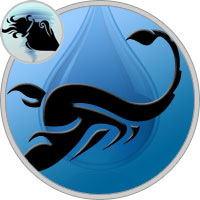 The Aquarius woman also has to keep in mind that there is only so much she can push Scorpio man around. Although her temper is uncontrollable Scorpio man might not take too kindly at the frequent outbursts. Both of them can be quite conflicting and moody at times and this may have a negative effect on their relationship. Sexually both of them can be quite contended if they can recognize each others needs more clearly. If this is a problem then there is no consistency in their sexual lives. This feeling of unfullfillment may even pour in to their emotional lives which can lead to a disastrous fight. Only if they implement the positives of each other in their lives can they have a beautiful relationship.